The Daily News is all excited about the advent of the Common Core. Never mind that it has never been tested anywhere, ever. The vital thing is that we implement it immediately. Doubtless the editorial writers, should they ever fall ill, would want to be treated with experimental medicines that have never been tried on anyone, and hope for the best. Because that, in fact, is pretty much what they're advocating for our children, amazingly, as "just what" they "need." 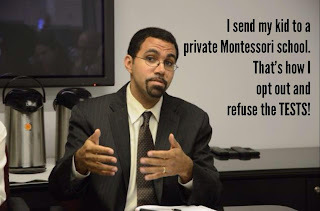 The hero of their story is reformy John King, who's not afraid to do whatever it takes to bring more testing to our children. The villain, of course, is that awful teacher union, which wants to delay it. Apparently, NYSUT, full of radical unionists, is not of the opinion frustrated unprepared children are a net plus. The News, though, says King is "fighting the good fight." It is conceivable that the pass rates could fall well below 40%, with some local districts down even into the single digits. And this, to the minds of the Daily News editorial board, is somehow helpful. 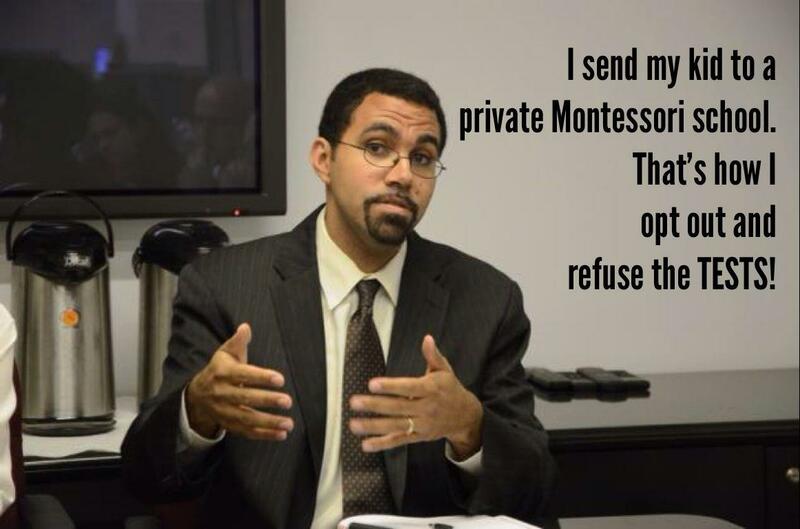 Of course, since teachers are now to be judged by test scores, it could be. If your goal is to dump as many unionized employees as possible, you could really give your cause a head start. Doubtless kids will be better off without all those teachers anyway, what with TFA McTeachers available at a moment's notice to take their place (at least for a couple of years). The reason will be that although the kids are as smart as they always were, they are nowhere near as smart as they need to be. Apparently, to the minds of the Daily News editorial board, test scores represent how smart kids are. It does not represent how many answers they have memorized, or how well they can guess. I'm just a lowly teacher, but I'd argue it is not our job to make kids smarter. I'd argue it's our job to inform and prepare them. I'd argue it's our job to awaken or inspire their passions. I'd argue it's our job to make them love this great gift that is our lives. Of course, I'm not John King, I haven't got his three years of teaching experience, and I'm not in any position to make decisions about education. I'm not even permitted to grade the tests John King makes my students take, the ones that represent the good fight, the ones my kids will fail, and the failing of which will somehow make them better-prepared for college. All I can do is ask this--if these tests are so wonderful, so vital to character-building, why on earth doesn't bold, innovative John King see them as suitable for his own child?